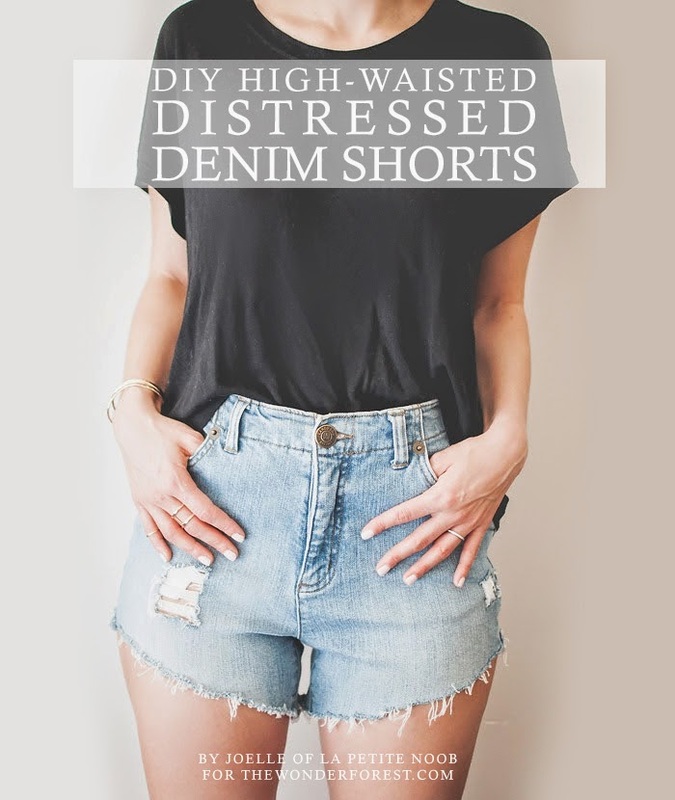 DIY High Waisted, Destroyed Denim Shorts from Old Jeans | La Petite Noob | A Toronto-Based Fashion and Lifestyle Blog. I picked up an old pair of jeans from my local thrift shop for a whopping $3.99 and transformed them into a cute, on trend pair of shorts that could rival those being sold for much more in retail stores - easy! Check out the post here, or by clicking on the above photo, and let me know what you think!